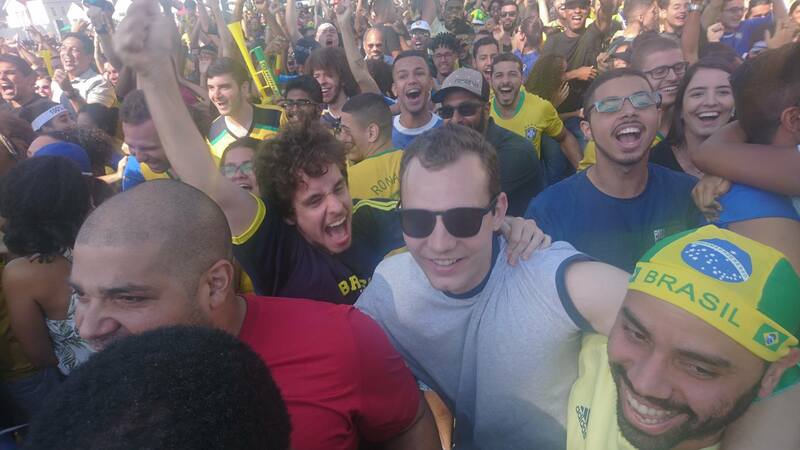 Watching Brazilians cheer for their team in Brazil vs Mexico soccer game was a show in itself. 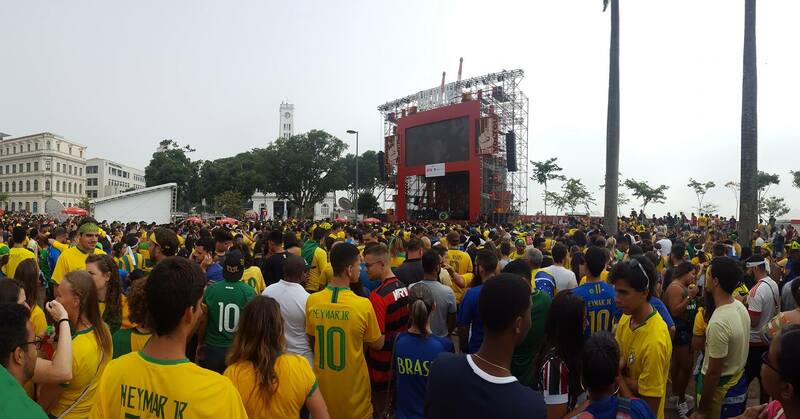 They seemed to be attached by an invisible link to their players in Russia, although the game was being live transmitted on a giant screen in downtown Rio. It was a unique experience and I captured their emotions and energy in numerous picture that I sent to friends and family! Of course the happy ending was welcomed with rapturous applause! Thanks to the Rio & Learn team that made that RioLIVE a memorable experience ! Here we are rooting for Brazil again! We can’t say no to football, especially when there is a World Cup. We were back to Porto Maravilha to watch Brazil and Mexico at Praça Mauá. Some of the students were first timers but they felt like being family. It was a tough game Brazil and Mexico, but for the joy of every Brazilian, we scored twice and passed to the quarter-finals. Will you join us in the next game? If you want to know how it feels, check our Facebook page. 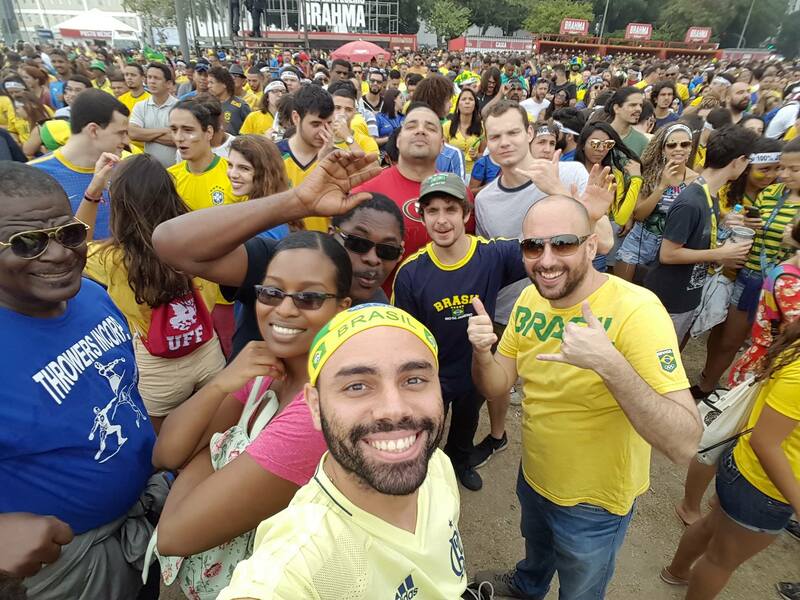 Check out our latest World Cup in Copacabana RioLIVE!